Textured Jewelry - This is a funky high polished and textured sterling silver pendant that is a beautiful contrast with the shiny oval black onyx cabochon. This bold One-of-a-Kind necklace comes with an 18" sterling silver snake chain. This Classic sterling silver necklace has a beautiful oval shaped black onyx stone (30mm x 15mm) surrounded by shiny high polished sterling silver design and contrasting textured sterling silver. 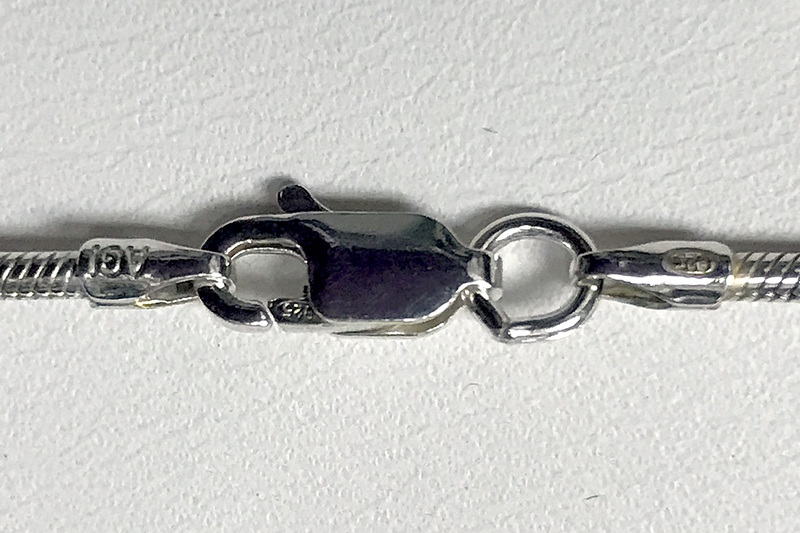 This item comes with a 18" Sterling silver Snake chain. This unique work of art is signed and handmade by Aaron Rubinstein and Modern Art Jewelry.